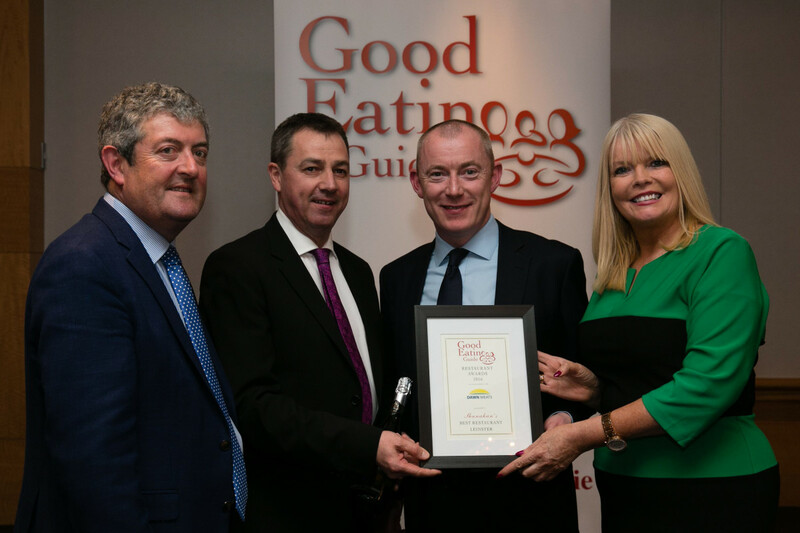 We are delighted to announce that Shanahan’s On The Green won Best Restaurant in Leinster at the Good Eating Guide Restaurant Awards 2016. The awards presentations were held in the Conrad Hotel in Dublin on the 18th of April and were organised by publishers of the Good Eating Guide to Ireland. The award was presented to Martin Clegg our General Manager by popular Dun Laoire Rathdown TD Mary Mitchell O’Connor.